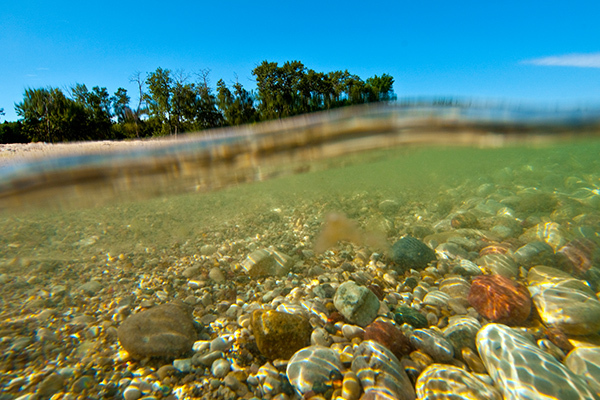 Tiny plastic microbeads have been found in alarming numbers in the Great Lakes. We're leading the way to keep plastic out of the lakes. Microbeads are tiny plastic particles used as an abrasive in many personal care products. They are commonly found in products like facial scrubs, soaps and shampoos. Once in the water, microbeads can absorb toxic chemicals commonly found in the water. And, they can be mistaken for food by small fish and wildlife. Studies have shown that fish and wildlife of all sizes consume plastic. The research raises serious concerns about the impacts of microbeads on aquatic life. Many natural alternatives exist, such as ground almonds, oatmeal and pumice. Phasing out synthetic microbeads is a common sense step to keep plastic out of the Great Lakes. 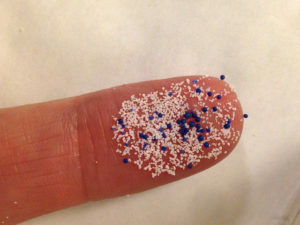 Researchers have found large numbers of tiny microbeads in the Great Lakes. The news prompted thousands of people to call their elected officials to ask for a ban on microbeads in personal care products. 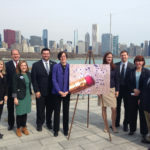 The Alliance for the Great Lakes led the way in advocating for legislation to phase out microbeads in personal care products. Illinois was the first state in the nation to pass such a law. Many other states quickly followed. Banned the manufacture of personal care products with microbeads after July 2017. Banned the sale of personal care products containing microbeads by 2018. Are you washing with microbeads?